India is expected to spend a whopping USD 95 billion (over Rs 6.34 lakh crore) on ramping up its rail infrastructure, a step that will help in increasing the country's manufacturing competitiveness, a report says. The Indian Railways suffered in the past due to "underinvestment and poor policies", said foreign broking firm Morgan Stanley's research arm in its recent report. Morgan Stanley Research's Industrial Analyst Akshay Soni, who authored the report, believes that the "historical lack of delivery in the Railways creates scepticism, but this time could be different". Soni estimated that India will spend USD 95 billion on railway over the next 5 years, which would result in 12% GDP growth between 2014-15 to 2018-19. "Of course, the ensuing productivity gains will improve India's manufacturing competitiveness and the lower CO2 emissions on freight would help India meet its 2030 emission targets," it added. The report also sees inventory cost gains for Corporate India. It's clear that the railways is the answer to solving India's transport infrastructure challenges. According to World Bank estimates, India's logistics costs (at around 10-14% of sales) are 2-3 times the best practice benchmark costs, which hurts India's manufacturing competitiveness, it added. 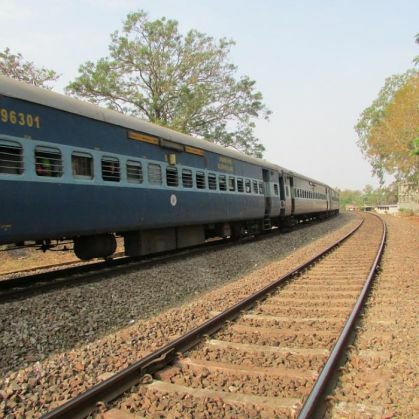 "We believe the key reason for this is underinvestment in the Indian Railways -- with budget allocation versus roads significantly lower than global standards," it said. "Rail is a cheaper mode of transport than roads (by 20%), yet the share of roads (at 57%) in Indian freight movement is more than 1.5 times that of the Railways, owing to congestion on rail network and poor policies." The report cited three key reasons behind the massive decline in the share of the Railways in transporting Indian freight and to some extent, passengers. Budget allocation in rail, at just 20% of roads, is significantly lower than global standards and over 60% of the Railways' funds are being allocated to projects with a negative rate of return, it added. Passenger fares remain another sticky area. "Passenger fares have moved up just 28% over the last decade versus a 91% increase in freight rates, with passenger losses being compensated by squeezing freight customers. This has resulted in both freight moving over to road and choking internal generation of funds," the report found out. Commending Railway Minister Suresh Prabhu's role, the brokerage arm said his focus is on increasing speed of trains rather than burdening an already creaking network and he is taking an "innovative approach to funding".